Why travel to Malaysia for gastric sleeve surgery? 15,000 Australians go overseas to have a range of procedures completed from cosmetic, dental, to eye surgery to major operations. There are many reasons that people choose to travel overseas for surgery. Let’s face it, Australia is very expensive to have any type of elective surgery completed. If you are not covered by private health top hospital you face a large out of pocket expense at the end of the surgery and what is commonly known as the ‘rubbery quote’ from the hospital. If you require anything varying from your quote like an extra night, it can add thousands to an already astronomical bill. If you don’t have good private health you face the fact the surgery you need may not be available under Medicare in the public system. This is the case with gastric sleeve surgery. Let’s compare a gastric sleeve average cost in Australia compared to Malaysia. Generally, once people make up their mind about a gastric sleeve or gastric bypass they are ready to go NOW. In Australia you could face wait times of up to 12 months or longer if you need to take out or increase your private health cover. Our surgical team in Malaysia perform 4 gastric sleeves per day, 3 times per week. Once you read about our surgeon, you will understand how this is possible. We can generally have you booked in within 4 weeks with current wait times. This gives you enough time to book holidays, passport requirements and prepare yourself mentally for the change in life you are about to undertake. If it is urgent, we can facilitate faster turnarounds as we hold a certain number of spaces open for this reason (usually conducted on a Saturday). There is a higher cost for fast turn-around but it is only around $450 AUD. A lot of people worry at first about the facilities in Malaysia. The misconception is that Kuala Lumpur is a 3rd world city however this couldn’t be further from the truth. 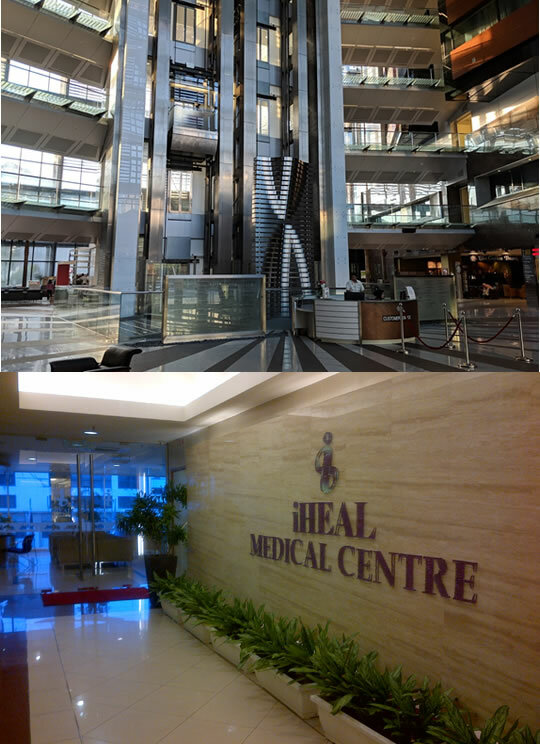 The hospital facilities are world class and cast a shadow over even some of the private hospitals here in Australia. We use two facilities dependent on your wishes and also theatre availability. Prince Court is a stand-alone hospital whilst iHeal is part of a medical village with separate specialist hospitals in the same vicinity. Please note, we use only ONE surgeon and he and his team operate from both facilities. What are the risks of traveling overseas? You will face risks no matter if you have surgery here in Australia or in Malaysia. Complications or unforeseen issues are part and parcel for some people when having an operation. This is why we allow for a contingency and prepare you for the most common issues faced by overseas surgery travelers. 99.9% of our client’s operations go smoothly without any complications. This is due to the standard of facilities we use and of course, our surgeon. It should be clear that we don’t have a pool of surgeons for the gastric sleeve procedure, we use one surgeon and one only due to his skill and the team that surrounds him. See more about our surgeon. You have the option to take out medical insurance to cover you in the event of complications. This is quite expensive (up to $1,000 AUD) but gives you peace of mind that if anything goes wrong, things are taken care of.